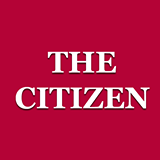 The Citizen believes in independence, and remains free from political or corporate funding. We rely on your donations and support. Please consider making a donation to help secure our future. Is Socialist JK Governor Targeting a Certain Industrial Family?